Choose from a wide range of Retreats, Courses and workshops presented by our in house teachers and local or international guest teachers. Focusing on self development through various practices such as yoga, meditation, dancing, music, martial arts, sharing and many more helps you to discover your highest potential. Join one of our internationally certified yoga teacher training courses in Austria and lay the foundation for your future career as a yoga teacher and deepen your own understanding and practice of authentic Yoga. 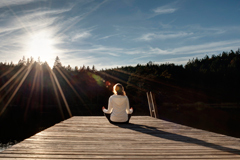 Combining the pleasures of a holiday in the Tyrolean Alps with the benefits of Yoga and meditation allows you to discover many ways to nourish your body, mind and spirit. Healthy vegetarian cuisine, rejuvenating treatments and a family like atmosphere in the house help you to relax and enjoy. You are interested in personal yoga classes at home or you want to practice Yoga together with your friends or family? You can book one of our fully trained and experienced yoga teachers to teach at your location or your event. 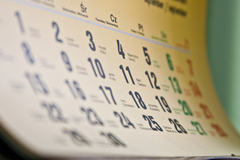 We are very fortunate to be able to offer a huge range of activities all year round. No matter if you are looking for adventures or for a relaxing time, the surrounding mountains and abundant nature make the AlpenRetreat the perfect base for a very special experience. 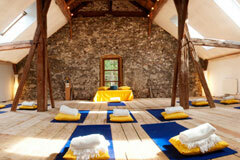 Offer your own courses and events at the AlpenRetreat. Use the AlpenRetreat premises including 5 acres of Land and the services of the AlpenRetreat team to offer your own seminars,courses, workshops or retreats. 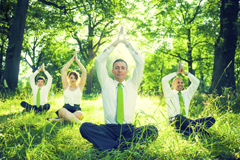 Healthy, content and motivated employees trough yoga at your company. Yoga, meditation and relaxation is the best prevention against burn outs and health issues.